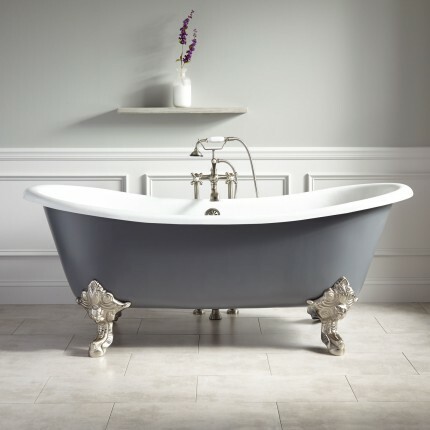 Choosing the right bathtub used to be between a few options but with the current styles and trends nowadays, choosing the right bathtub can be a nightmare weeding through all the details. 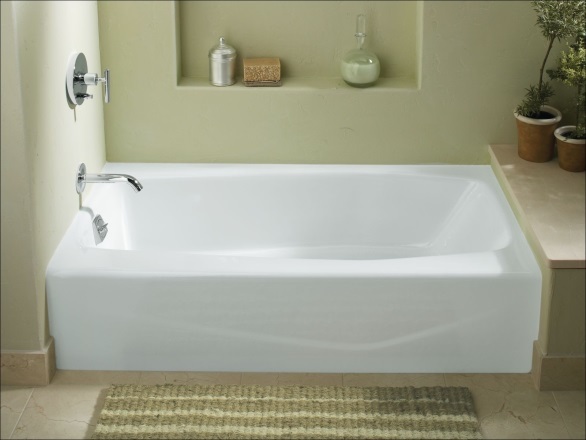 Below are a few items to consider when remodeling your bathroom and selecting the perfect bathtub. 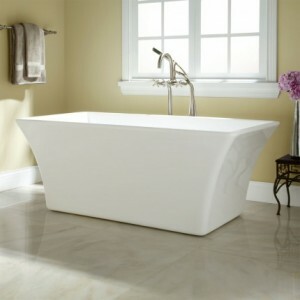 This bathtub is a standard option seen in most 5’x8’ bathrooms. 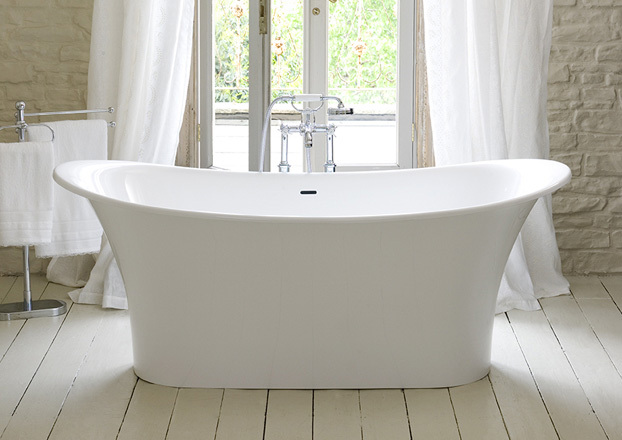 The bathtub is enclosed on three walls leaving the finished face front exposed. Only the front face is finished leaving the other sides exposed but covered once installed between the walls. This style can work in all bathrooms and be designed around the client’s specific tastes. This is yet another bathtub but it is more of a shell with all sides exposed. The drop in typically has a deck built around to enclose the unfinished sides. 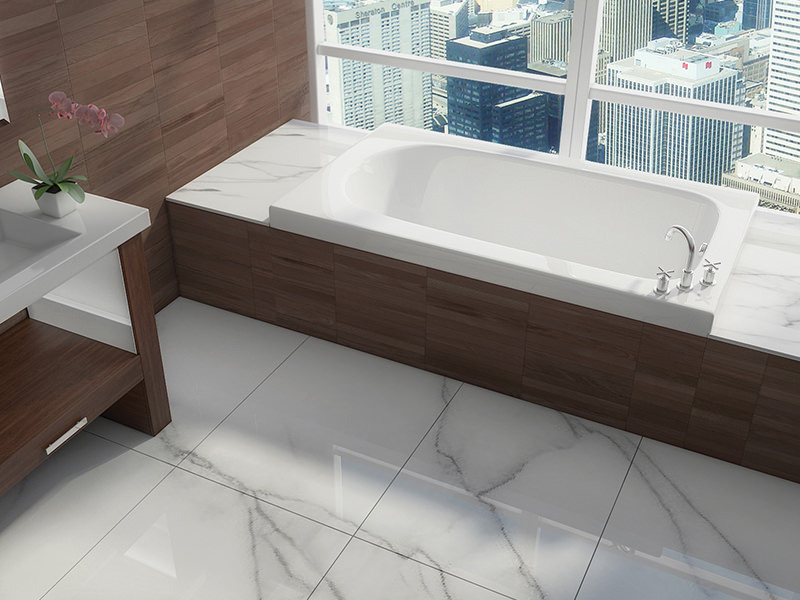 The deck use to be finished with ceramic or porcelain tiles; however, these days, if not switching to a freestanding bathtub, most decks have a more modern/contemporary look using sleek, flush panels as seen in the images below. The undermount is basically the same concept as the drop-in; however, you do not have a lip that sits on top of the finished deck, rather it’s below. Same concept as undermount sinks. This creates a more modern, seamless look if you decide to keep the deck. 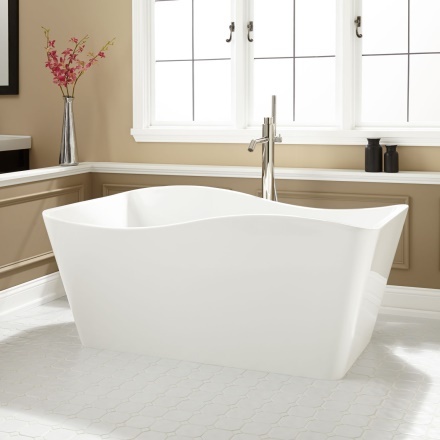 Corner bathtubs are not as common for new construction with freestanding and undermount bathtubs trending. 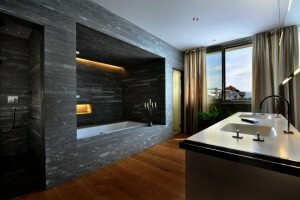 Most of these applications have the corner bathtub set in between windows with a deck surrounding the bathtub. Corner bathtubs can be cumbersome to get into and we typically redesign the space to utilize the area better. 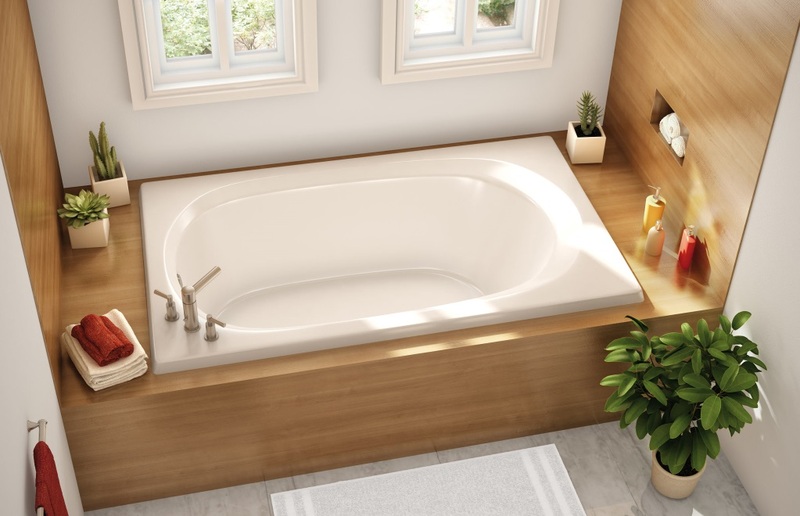 If you must go with a corner bathtub, try eliminating the deck and opt for a curved front face which gives it a more updated look and feel to the space. Clawfoot bathtubs were the top demand freestanding bathtubs. These still have their place for those select style houses. Anything Vintage or Victorian will work but we also have new contemporary clawfoots that have a bit of flare to them. 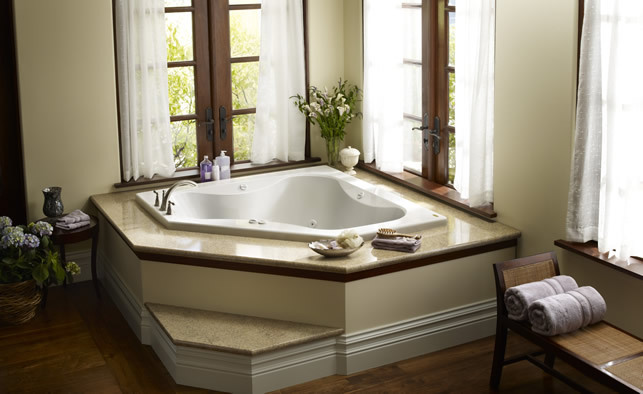 You will see clawfoot bathtubs in transitional style places as well that likes to combine the old with the new. 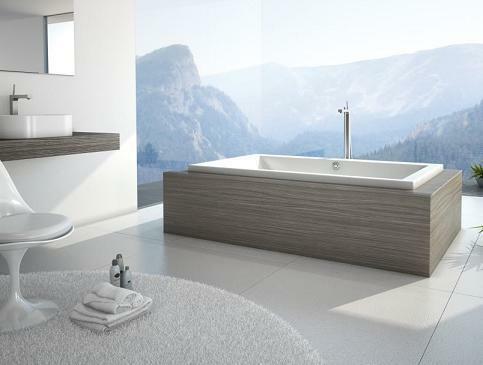 The most sought after option these days is a freestanding bathtub. 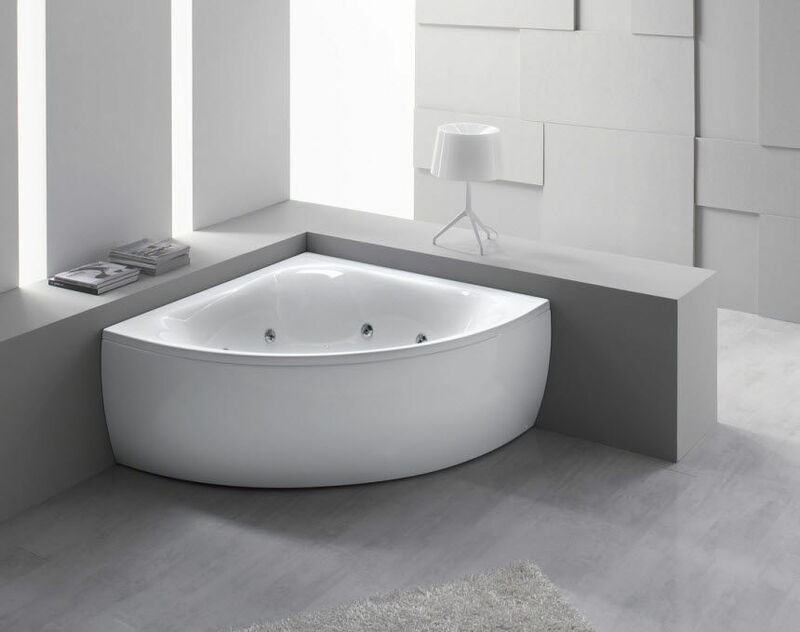 If it is feasible possible to have a freestanding bathtub in your space, now is the time to do it. Not only is the market booming for this option, you have so many different styles and shapes to choose from. 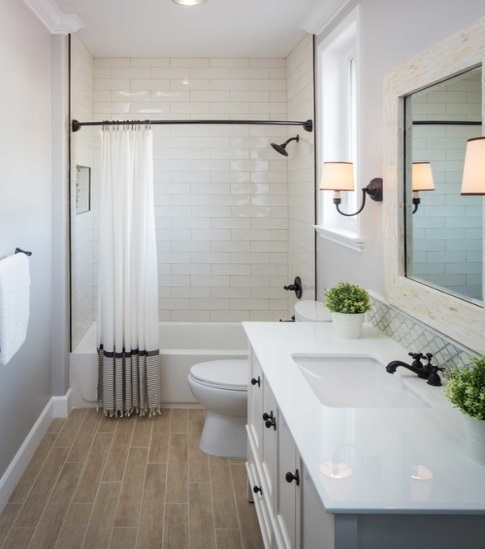 Master Bath spaces offer a great avenue to have one of these installed since they are typically larger than your standard bathroom. Freestanding bathtubs eliminate a large oversized deck and simplify the lines while creating elegance to the space. 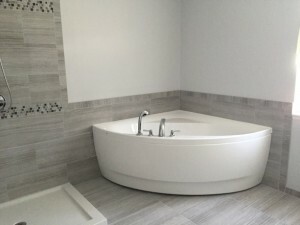 Once your space is designed and you have the appropriate type of bathtub is chosen, you will then need to decide the type of material in addition to shape/style. Some clients also like to add on features such as air jets, whirl pool jets, massage/bubble jets, soakers, heaters, lights and much, much more. The design team at HSD work hand in hand with plumbing suppliers/vendors along with the client to ensure the perfect bathtub is selected for the client and their newly remodeled space.